New Skipton Business Awards website launched! Enter online now! A new website has been launched for the Awards this week! With only three weeks to go until the closing date, businesses of Skipton and BD23 are being encouraged to enter online! Entries are welcome up until the closing date of Friday 15th February 2019, 23:59 hrs. Not limited to Chamber members, entry is open to all businesses with a BD23 postcode; with twelve categories allowing scope for all types of entries, from micro-businesses to corporates, retailers to manufacturers. The award ceremony dinner at The Rendezvous Hotel on Thursday 25th April 2019 will celebrate the success of the winners and showcase the nominees and runners-up. 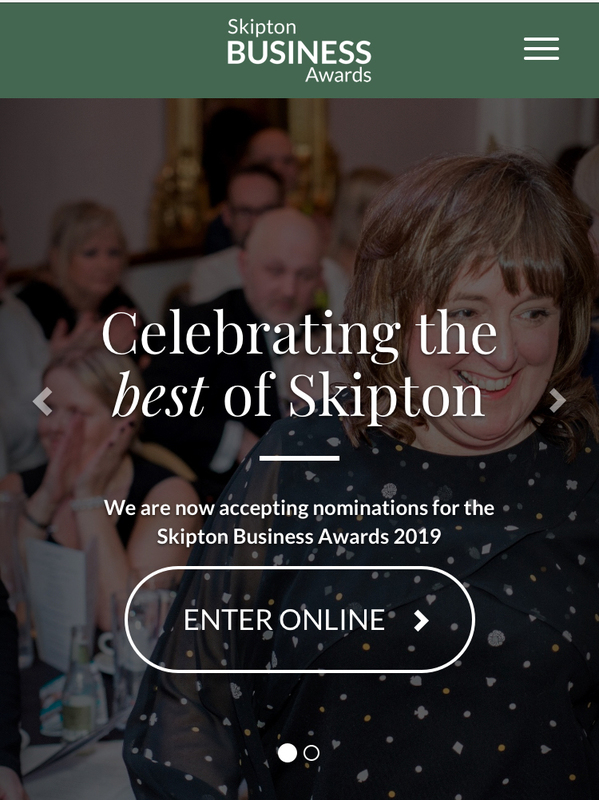 More information about the awards and the online entry form is available via the website www.skiptonbusinessawards.co.uk and by emailing Coordinator, Wendy Griffin via sba@skiptonbusinessawards.co.uk.